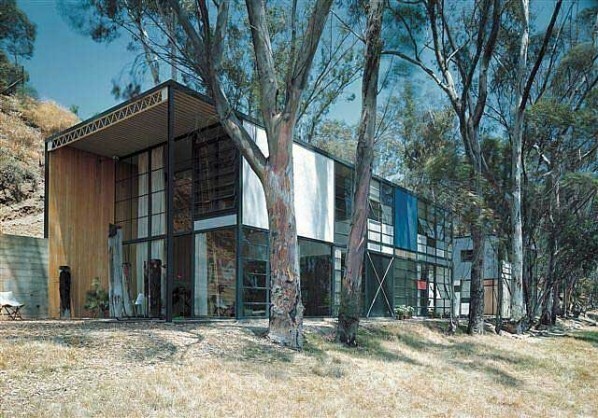 This notable home was built by Charles and Ray Eames as part of a Case Study home competition sponsored by Art and Architecture magazine. The plans for the home appeared in the magazine in 1949, and the couple moved into the the home Christmas of the same year. The home was conceived a residence for a creative couple who no longer had children living with them. The Eames remained the house after moving in. The home has become an icon of architectural design and attracts vistors from all over the world. The Los Angeles Times lists it as one of the 10 best house in Los Angeles. This entry was posted on Thursday, November 18th, 2010 at 4:07 pm	and is filed under architecture & design. You can follow any responses to this entry through the RSS 2.0 feed.